The greatest source of energy that your body needs in order to function properly and to exercise regularly is food. This is the reason why people tend to feel hungry when they work out. Food can be counterproductive if you are trying to lose weight. If you choose the ones that can be metabolized quickly, you will be hungry more often, which leads to the tendency of getting more snack and taking in more calories. However, if you pick the right kind of food, you will be more than good to go. 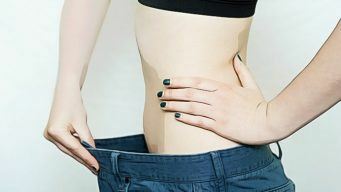 In order to prevent yourself from consuming back all the calories that you have burned during your work out session, read this Weight loss fast diet tips and plan article to find out more tips in order to lose weight faster. Try to add whole grains, fruits and vegetable into your daily means since you need to consume at least 20 grams of fiber each day. Because you are trying to lose weight, it is necessary to take fiber as they help keep you feel fuller longer. According to Brigham Young University College of Health and Human Performance, it is showed that those who consumed more fiber had much more chances of lowering their risks of gaining weight. Each gram of fiber eaten correlates to 0.5 pound less body weight. The researchers believe that if you take a high amount of fiber every day, you will be able to reduce total calories intake over time. Try to have at least three servings of foods that are rich in calcium and vitamin D every day. Food, especially dairy, usually contain both of these nutrients. Calcium and vitamin D have the ability of bones strengthening. You can find these nutrients mostly in dairy foods. According to a study from Johns Hopkins Bloomberg School of Public Health, those who actually had dairy three times a day while going on a healthy diet lost a significant amount of weight and got rid of belly fat, while those who consumed little or no dairy did not lose any weight at all. Moreover, vitamin D also takes part in weight control because extra body fat holds on to it so that the body cannot use it. This causes the less efficient action of the hormone leptin, which is responsible for signaling the brain that you are full. You will tend to eat more if you cannot tell whether you are satiated or not. A vitamin D should also be put on the list. It has been scientifically proven that vitamin D can be a contribution in preventing you from getting heart disease or memory loss and chronic pain. As we get older, it is necessary that we take more than the current recommended intakes since older skin produces less amount of vitamin D. Besides, if you use sunscreens, you should know that they block your body’s ability to produce vitamin D using natural sunlight. This is the reason why the leading experts in this area recommend that you take a daily supplement of vitamin D.
Good fats include monounsaturated fatty acids and omega 3 fatty acids, which are usually found in oils, avocados, nuts, fish and even chocolate. Therefore, you should have about 3 to 4 servings each day. According to a study published in the journal Appetite, it is showed that these fats are not only good for your heart but also are able to make you feel fuller longer hours after meals. The volunteers who took a higher amount of omega 3 fatty acids felt less hungry 2 hours after their meals, compared with those who took a lower amount of omega 3 fatty acids. You will have an easy time controlling your calories intake when you are less hungry. Walnuts are also a good source of monounsaturated fats. In an Australian study, the researchers divided the volunteers, who were following a healthy low fat diet, into two groups: one was those who ate walnuts and one was those who did not. In addition, all the volunteers had the same amount of calories intake and lost the same amount of weight in 6 months. However, in the next 6 months of this study, the volunteers who ate walnuts still continued to lose weight and drop body fat, while the rest stopped losing, despite the fact that they were still on the same diet. It is recommended that you try to have at least three servings of lean protein a day, such as fish, pork loin chops, white meat chicken, lean beef sirloin and turkey. When you are trying to lose weight, protein is your best friend since it helps to make you feel fuller longer. According to a study conducted in 2019, those who had breakfast with a higher amount of protein were more satiated after that and also had fewer calories at lunch, compared with those who had breakfast with lower amount of protein. – Drinking at least 4 cups of water a day is closely linked to a 5 pound weight loss in one year. According to the researchers, the more you drink water, the larger amount of energy or calories your body burns. – Instead of drinking sugary drinks such as sodas, coffee, sweetened milk, sports drink or flavored drinks, you should drink water as a substitute. By doing so, you will lose even more weight. The number of how many weights you are going to lose depends on how many sugary drinks you consumed in the beginning, and how many were substituted with water. If you still do not think that you can ever give up on drinking sodas and coffee, then take this in mind: It has been scientifically proven that if you consume a certain amount of calories in liquid form, you are more likely to get hungry and overeat in the next meals. This means that if you eat a snack which contains 200 calories, you will be more satisfied and eat less after that than if you have a drink which contains 200 calories. Therefore, having beverages which are dense in calories regularly can lead you to hunger faster and increase your total calories intake during the day. Try to add green tea into your daily routine and have at least 3 cups a day. Green tea contains a high amount of Catechins, which is helpful in promoting weight loss, especially belly fat. If you do not want to take caffeine, you can choose decaf tea. However, some decaffeination processes can reduce the antioxidant content. Therefore, it is necessary to have an extra cup or two if you choose to drink decaf tea. According to a study at the USDA Human Nutrition Research Center on Aging at Tufts University, those who had about 3 cups of green tea per day lost more weight and dropped a more significant amount of belly fat, compared with those who did not drink tea. If citrus is your favorite fruit, you may be happy to hear this news. Your body will be able to consume more of the tea’s catechins by substituting some of the tea brewing water with citrus juice, such as grapefruit, orange, lime or lemon. If you want to have a hot drink, you can drink your green tea freshly brewed. If you want to have a cold drink, chill if after brewing. After dinner, when you finally sit down and rest after a long hardworking day, is the time when mindless eating tend to occur. People usually mindlessly eat, despite the fact that they are not hungry, when they sit down with a bag of chips in front of the television. That is an example of eating amnesia. Therefore, after a certain hour, you should close down the kitchen. If you cannot do that, you can let yourself have a snack which is low in calories, such as a pack of cookies that contains less than 100 calories or a half cup scoop of ice cream which contains a low amount of fat. Until you find yourself enjoying the low calories snack, you can try to have a cup of tea which contains zero calories. That is the end of the list weight loss fast diet tips and plan. Hopefully after reading these Weight loss fast diet tips and plan, you will find more tips in order to speed up your weight loss process and drop more inches off your waist. If you find this Weight loss fast diet tips article useful, please let us know what you think by leaving a comment down the section below. If you have any questions related to this article, please feel free to reach us any time. There are also many other fitness & exercise related articles from the site vkool, please take sometimes to pay them a visit. We are sure that you will learn something meaningful and useful from then and apply them into your daily life.